OSWEGO – Primrose is a sweet, playful young kitten, the last of our District 12 tributes still waiting for a forever home. 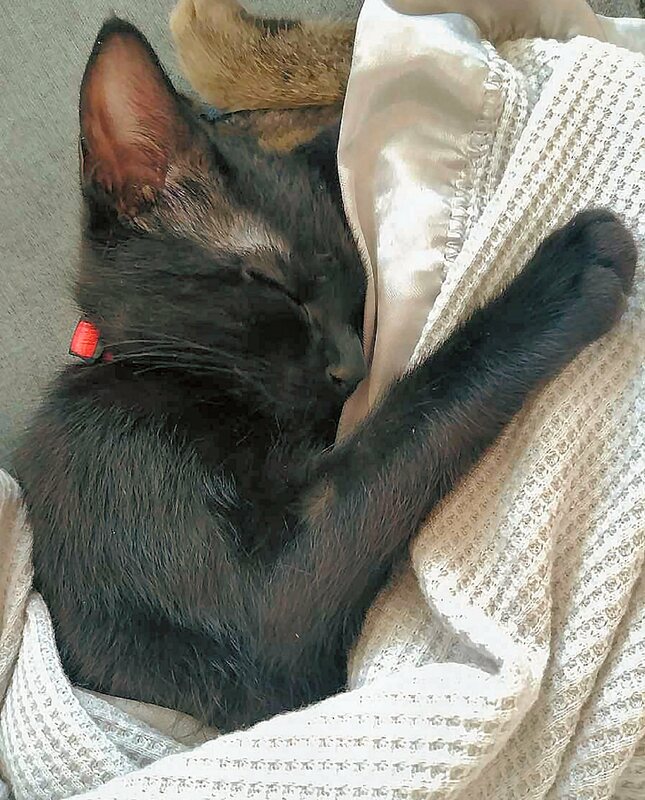 She is a snuggly typical kitten, and as you can see, a very good napper. When she wakes up, she’s adventurous and absolutely loves to play – especially with catnip toys and balls with bells or something similar in them. She gets along really well with other kitties. She’s cool with her foster mom cutting her nails and cleaning her face. She knows the phrase “no cords,” should it ever be a problem with electronics/phone chargers, and she won’t mess with them. She’s an absolute cuddle bug – likes to be picked up and sit in your lap and sleep by your legs. Children would be perfect for Primrose. Are you looking for a more mature and accomplished companion? Currently, application fees are waived for all of our adult cats. Not because they are not already an incredible value, but just because they need homes. Take a look at our website or come on down to meet some of the resident grownups.